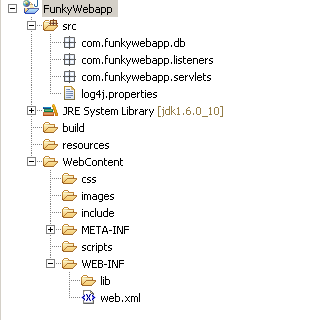 Here is a simple layout for structuring your folders inside a Java Web Application. This is how it looks in Eclipse. All web content such as JSP pages go under the WebContent folder.